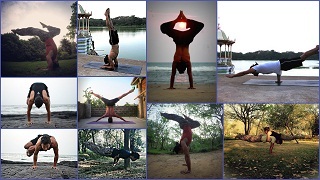 Given below is the excerpts about Mayurasana from the same manual. Press your hands firmly upon the ground and balance your body by pressing the elbows against your loins (both sides of the navel). Raise your legs straight in the air till your feet are level with your head. This is mayurasana. 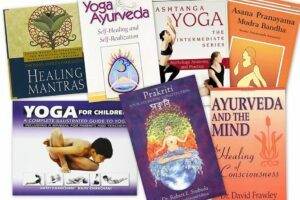 This asana heals various diseases of the spleen and dropsy, and removes all illnesses caused by excess of vata, pitta, or kapha. It digests an overabundance of food, and even destroys the most deadly poison. 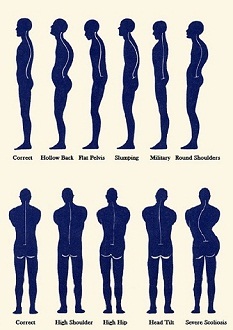 This posture demands good physical strength, giving the maximum physical exercise in the minimum time. Sit in Vajrasana (kneeling posture) then separate the knees to hip width apart. Place your hands on the floor between the knees with the palms down, fingertips pointing back towards the feet. Keep the hands touching . Inhale and bring your feet back on the ground.